This weekend I was very lucky, as my parents picked me up a couple of the Oxford street exclusive products while they where visiting London. Unfortunately I live a good 5 hours away from London, so I only get to vist the amazing flagship store now and then. This year there are three Oxford street exclusive products as part of the Valentine’s Day range, the love spells massage bar being one of these such products. Lush are however releasing these items for a brief time on the kitchen (see lush website for more info), so if you lucky you might be able to pick a few of these products up on there. As much as I love bubble bars and bath bombs I do get very excited about trying out other products avalible at lush. So when I saw this massage bar was being released I was vey much looking forward to getting my hands on one. 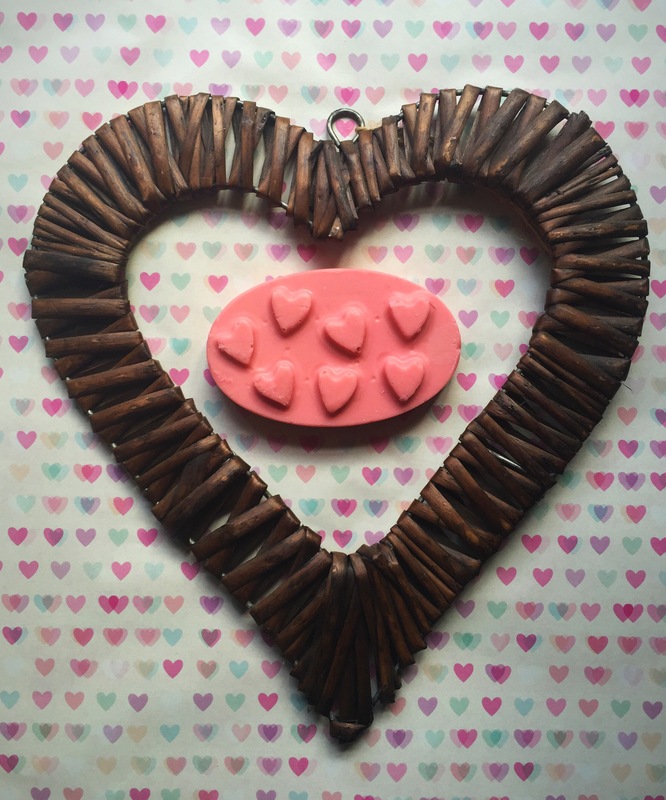 The love spells massage bar is a very romantic baby pick colour with lots of little raised hearts as decoration. Making it looks perfect to be part of the Valentine’s Day range. The scent of the love spells massage bar is a lot softer and more subtle than I was expecting. The massage bar is very floral and defiantly has a strong rose element about it. This massage bar really reminds me of smelling a bunch of flowers, and the use of carnation absolute adds another level to this beautiful floral scent. I do feel if this product was a little stronger in scent it could become a little overpowering, so by keeping the scent quite soft and gentle it give the massage bar a very romantic feel. Massage bars are such a great product. You can use them just like the name suggests and get you partner to give you a lovely massage (or vise versa), or you can use them as a very moisturing body lotion. To use the massage bar all you have to do it glide the bar over you body and your body heat will melt the lovely butters and oils it’s contains. 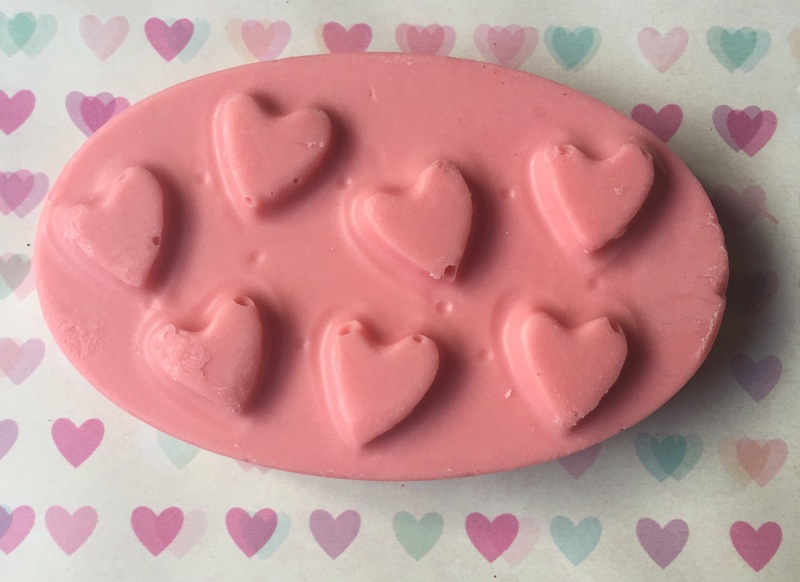 I love that the love spell massage bar has the little raised hearts as these can be used to really massage any areas that are a little sore and stiff. 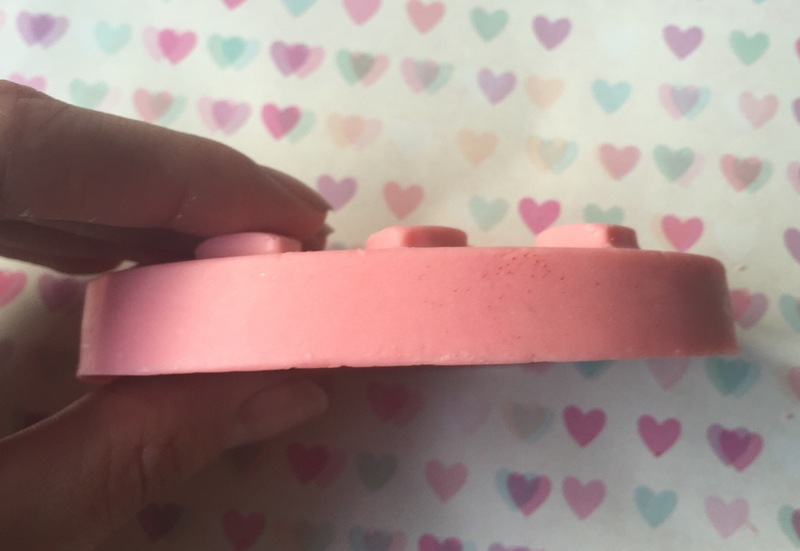 I did find that the love spells massage bar took a little longer for the skin to absorb the butters than other massage bar I have tried. But I just ended up rubbing these in to help speed up the process. Overall I have really enjoyed using the love spells massage bar. It leaves a lovely yet subtle scent on the skin and my skin also felt super soft and moisturised. These little bars are also great to use if you travel a lot as they fit perfectly into the tins you can buy from lush, making then easy to pop into your bag. I’ve been wanting to get a massage bar- that’s to cool that they come out with valentines ones!